In today’s business world, team building has become a core concept for increasing productivity and fostering a better business environment. Let Stroke of Genius host your corporate events at our studio or at an offsite location of your choice. 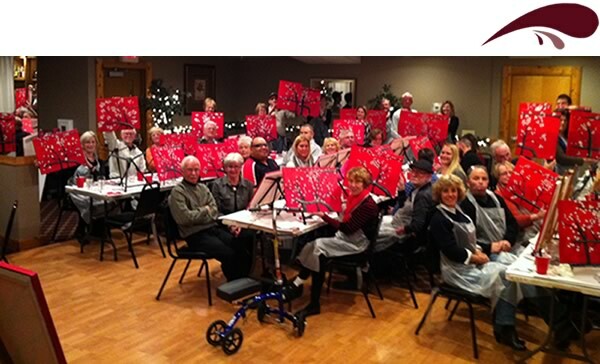 Painting Events are the perfect Team Building, Customer Appreciation, Employee Appreciation, or your next Holiday Party. 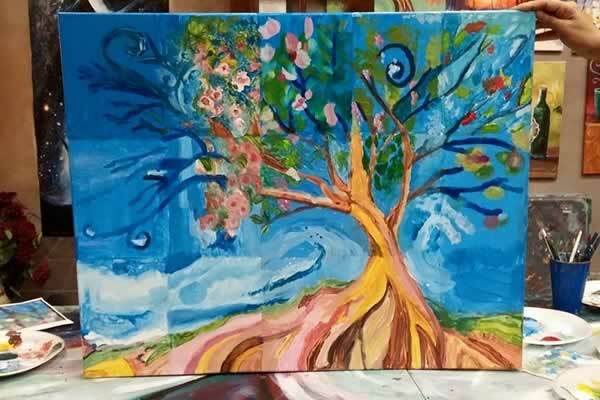 During the session there will be step by step instruction as your team paints along with our artist on the painting of your choice. You choose a painting from our gallery or send us an image of what you want to paint (we can NOT paint copyrighted paintings). 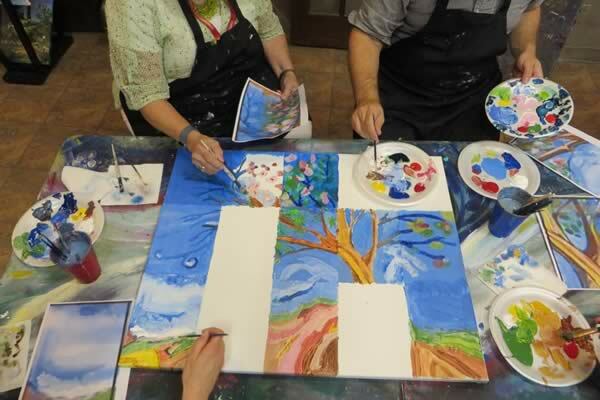 All canvases, art materials, aprons, and an expert instructor. 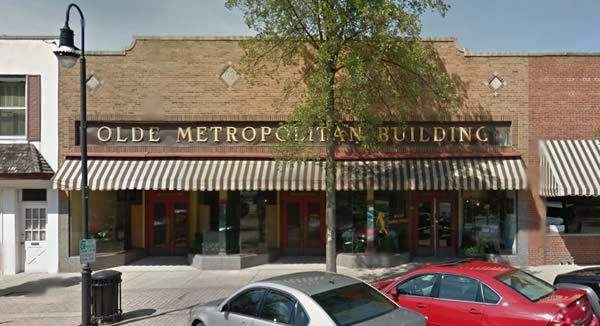 Bring all of the food that you want, we will help you set it up, or Local Catering suggestions available on request. 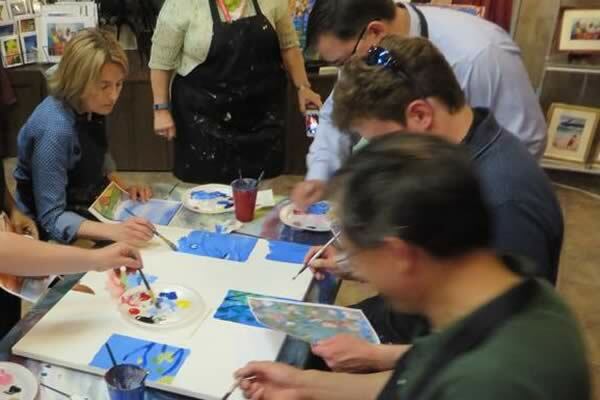 A unique fun experience where each person will leave with amazing painting to display. Super Fun atmosphere, you may choose the music. Work together on one painting producing a larger painting that can be hung in the office. Contact us today to book a corporate event or team building party. Just email us at hello@paintwinestudio.com. Follow Stroke of Genius on social media to learn about new classes & special offers.